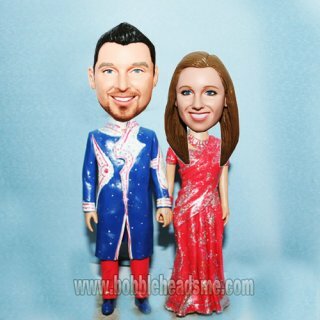 Want to add some unique and exotic elements on the wedding ceremony? 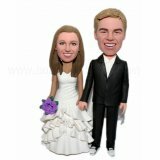 This custom wedding bobblehead is a ideal item to fulfill your idea. 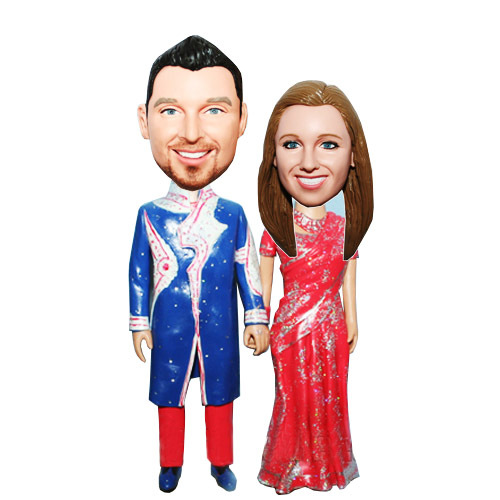 The custom bobblehead couple is conservatively dressed in Indian suit silk, hand in hand, sporting a warm smile to the guests.This design is a perfect gift to resemble those who is interested in oriental culture. 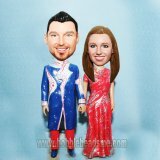 They will be amazed when they see there head bobbling atop of this figure.